if you can't watch this video, I'll try to upload it to the YouTube. I have removed all of the other video threads that you have started in this section of the forum and renamed this one for you to repost your videos in a single thread. I was ablel to view them and was very interested, but I would like you to keep them organized in this thread so as not to clutter the forum. Thank you. I'm new here and I didn't know this before. except the first one, of which route is calculated. It's all good. Thank you for reposting them here! Did you make these with the EDX?? Also, would you care to share your .mssn files so we can see the methods you are using?? If some of them can be used in the EDX they could make a great addition. You appear to have the coding knowledge to be able to contribute to the further development of modules or the EDX itself. Check it out and let me know what you think. The camera module operates in very similar fashion to your moving camera but with the added ability to plot camera paths for cinematic shots. Very nice work on your stuff here. I think I found the way to teleport primary player and AI too, like function "OFP:teleport()". That's great.... are you going to tell us how you did it?? Alright, I partly figured out how you did it, but my version of it is not that smooth. Please share your code for this as it is a pretty major breakthrough... we've been trying to figure out how to get it to work for a long time. 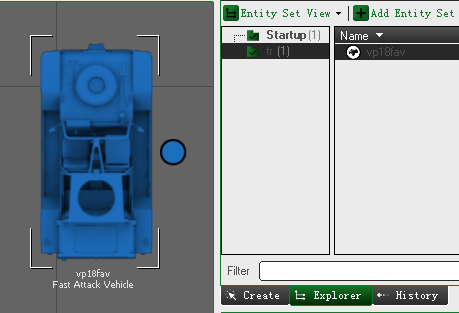 Put a vehicle and a soldier on the map, change control mode to player and mount the vehiche, then put that vehicle to another entityset. Wherever and whenever this vehicle has been spawed, the player will mount it. So, when I spawned the vehicle then despawn it, player will change his place. The problem of this way is, the direction of player never changed after teleport, and cannot move player into buildings. If player mount another vehicle before despawed the vehicle which teleported player, it will make a BUG: Player stand "in" vehicle and can't do anything. Maybe you will find the way to improve it. Here is a video which I use this way to "pass through" a wall. I find the way to change fmod of official. So I try to change the sound of dpv. I drive the car which I change the sound and power and travelled the length of the island. Forget me, I don't upload them to YouTube.